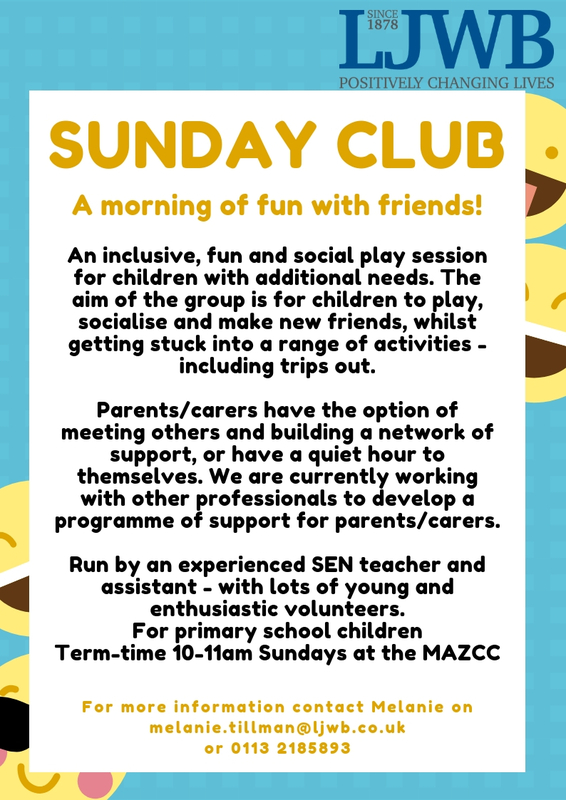 ‘Together’ is an inclusive, fun & social play session for children with additional needs which runs every Sunday 10 -11am. During an hour of activities, games and fun, children can learn, play, socialise and make new friends. Experienced and qualified SEN staff lead activities and our dedicated volunteers work alongside them to provide support for all the children. 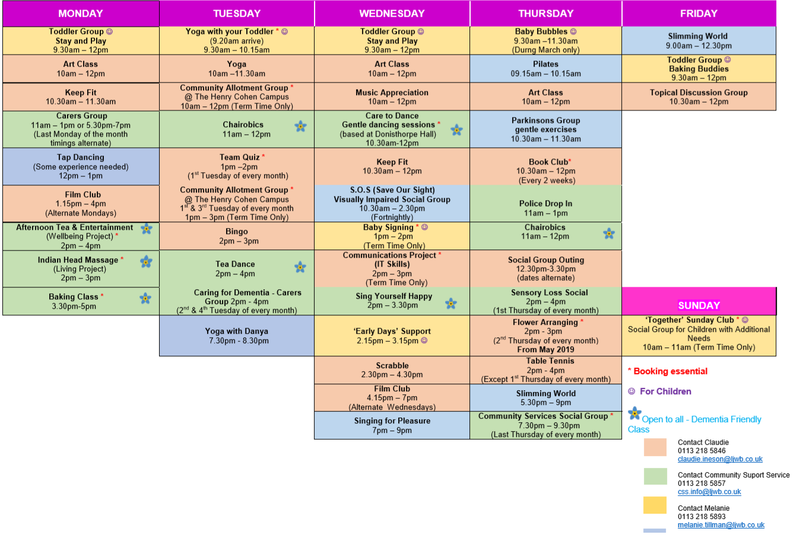 While the session takes place, parents and carers can meet and socialise in the Community Centre café. A programme of parent sessions also provides advice and support during some of the sessions. To find out more about our activities for children and families, email childrenandfamilies@ljwb.co.uk or call 0113 268 4211 and ask for the Family Support Team.